Welcome to the NinaB Designs Blog Hop! The theme of this month's hop is Stamping Techniques. Nina challenged the team to do a technique, which could be as simple as coloring, die-cutting or more involved like emboss resist, making your own embellishments, etc. I'm not really the most technique oriented person, so I stuck with what I know....and that is stamping on patterned paper. This probably isn't really considered a technique, but it is about as technique oriented as I get. Here is what I created! 2. Cut aqua dotted paper slightly smaller and adhere. 3. Cut two matching floral strips and adhere to the aqua block. 4. Fussy cut the journal card from patterned paper and adhere to the middle with foam adhesive. 5. Punch a border to pink patterned paper, and adhere to the bottom of the journal card. 6. 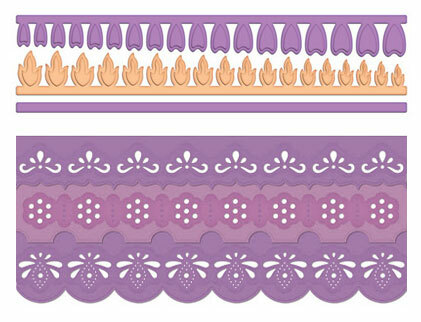 Cut a banner edge to light patterned paper, and stamp the sentiment to it and adhere. 7. 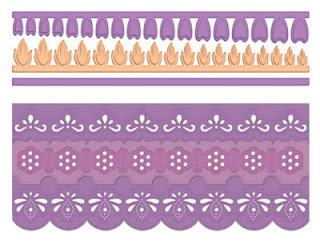 Layer flowers to the right of the sentiment banner, then accent with a brad. 8. Add a cluster of diecut embellishments to the lower right corner of the journal card, popping the heart with foam. 9. Tie a twine bow, and layer to the heart with a jewel to finish. What a beautiful card! Great design and colors! Very colorful. I like the design and your stamping on patterned paper technique. fabulous card. Love the colors!!! Love the bright colours on your card, great layout and embellishments :-). LOVE those flowers ... sweet card design as well. Thanks for sharing with us! Wonderful card. Love how you cluster the flowers, sentiment etc in a beautiful way. TFS YOUR TALENT. Love the flowers and the colours you've used. Thanks for sharing. Very cheerful card and wonderful textured flowers. This is so pretty!!! Thank you so much for sharing this with us at Stamp and Create! Good luck and I hope to see you back next month! just gorgeous!! Love all the wonderful texture and color! Very pretty card...love the stitched sentiment and the wonderful flowers. Lots of interest in all the layers and the flowers are beautiful. lovely use of the colors, such a feminine card! Lovely card. Love those flowers! Beautiful card! I love the color and those flowers are amazing! Love the bright, bold colours in your card! This is so beautiful! All the layers and the flowers are wonderful. Wow! This is gorgeous and so fun! Wow, beautiful flowers! I love all the details you used. Thanks for joining the Friday Mashup this week. This is an outstanding card project! Love your layout and the colors are unexpected but awesome. Great card. Loving the bright colors. Fun colors and pretty embellishments! Love it! WOWZERS! This is so pretty! I love the flowers! GASP! I adore this, it looks like an art piece, almost mixed media! Wonderful! There's so much to look at and those flowers are fabulous! Thanks for sharing with us at The Friday Mashup. Wow, fabulous card Lea! Love the rich colours and those beautiful flowers! Thanks for playing along with the Friday Mashup this week! Lovely colourful cards - I especially love those prima flowers and how they work well with the colours and designs you have used. wow!!! 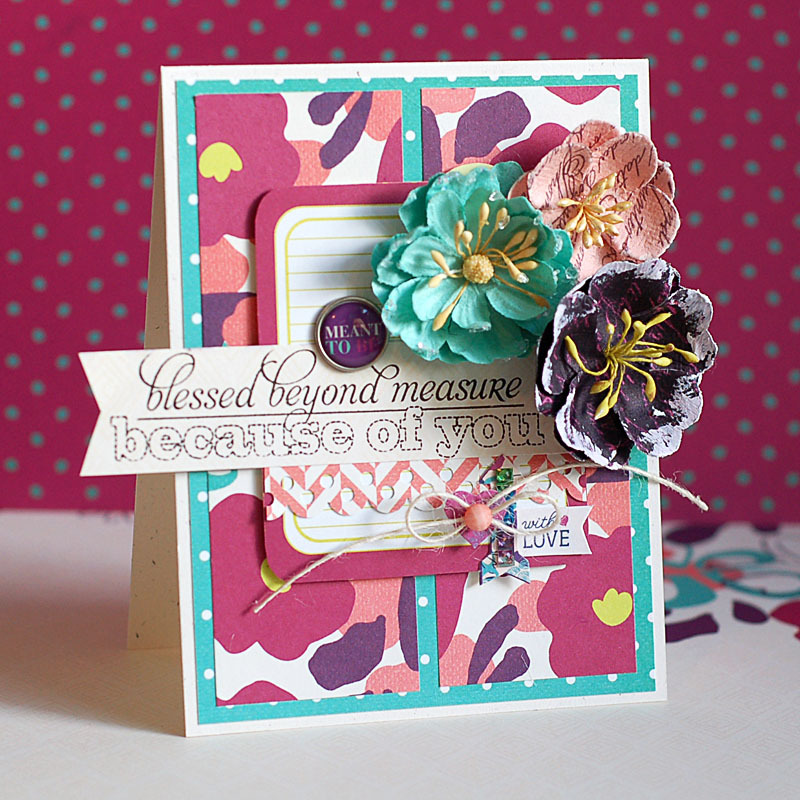 Loving that patterned paper and the beautiful rich colors of those flowers!!! Beautifully done! Thanks for joining us at V's Sweet Ideas! Lovely card, thanks for the inspiration! I am with you on the techniques, but do enjoy admiring others excel at it :). I love your color combo and all the beautiful layers, Lea.